The following outlines how you can install this new R package from GitHub (Hadley's GitHub is https://github.com/hadley/). Install the package from Hadley's GitHub repository. If your parallel ORE function create a large number of parallel R processes then you can see that the amount of overall memory consumed can be significant. I've seen a few customers who very quickly run out of memory on their DB servers. Now that is something you do not want to happen. Some guidelines - as with all guidelines you have to consider all the other requirements for the Database, and in reality you will have to try to find a balance between what is listed here and what is actually possible. of Haven for help and support. I'm using R version 3.2.0. All I an say is, it worked for me! Have you ever been faced with having to generate a data set in the format that is needed by another analytics tool? or having to generate a data set in a particular format but you don't have the software that generates that format? For example, if you are submitting data to the FDA and other bodies, you may need to submit the data in a SAS formatted file. There are a few ways you can go about this. One option is that you can use the Haven R package to generate your dataset in SAS and SPSS formats. But you can also read in SAS and SPSS formatted files. I have to deal with these formatted data files all the time, and it can be a challenge, but I've recently come across the Haven R package that has just made my life just a little bit/lots easier. Now I can easily generate SAS and SPSS formatted data sets for my data in my Oracle Database, using R and ORE. ORE we can now use the embedded feature to build the generation of these data sets into some of our end-user applications. Firstly there is very little if any documentation online for it. That is ok so we will have to rely on the documentation that comes with the R packages. Again there isn't much to help and that is because the R package mainly consists of functions to Read in these data sets, functions to Write these data sets and some additional functions for preparing data. Let us now work through an example of creating a SAS data set. We can use some of the sample data sets that come with the Oracle Database in the SH schema. I'm going to use the data in the CUSTOMER table to create a SAS data set. In the following code I'm using ORE to connect to the database but you can use your preferred method. There is only one way to test this and that is to only it in SAS. I have an account on SAS OnDemand with access to several SAS products. I'm going to use SAS Studio. WARNING: When you load the data set into SAS you may get a warning message saying that it isn't a SAS data set. What this means is that it is not a data set generated by SAS. But as you can see in the image above all the data got loaded OK and you can work away with it as normal in your SAS tools. The next step is to test the loading of a SAS data set into R. I'm going to use one of the standard SAS data sets called PVA97NK.SAS7BDAT. If you have worked with SAS products then you will have come across this data set. Over the past 12 months there has been an increase in the number of Machine Learning notebooks becoming available. 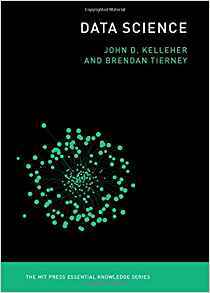 What is a Machine Learning notebook? As the name implies it can be used to perform machine learning using one or more languages and allows you to organise your code, scripts and other details in one application. The ML notebooks provide an interactive environment (sometimes browser based) that allows you to write, run, view results, share/collaborate code and results, visualise data, etc. Some of these ML notebooks come with one language and others come with two or more languages, and have the ability to add other ML related languages. The most common languages are Spark, Phython and R.
Based on these languages ML notebooks are typically used in the big data world and on Hadoop. At Oracle Open World (2016), Oracle announced that they are currently working creating their own ML notebook and it is based on Apache Zeppelin. They seemed to indicate that a beta version might be available in 2017. Here are some photos from that presentation, but with all things that Oracle talk about you have to remember and take into account their Safe Habor. I'm looking forward to getting my hands on this new product when it is available. In a previous blog post I showed you how create and display a ggplot2 R graphic using SQL. Make sure to check it out before reading the rest of this blog post. In my previous blog post, I showed and mentioned that the PNG graphic returned by the embedded R execution SQL statement was not the same as what was produced if you created the graphic in an R session. Here is the same ggplot2 graphic. 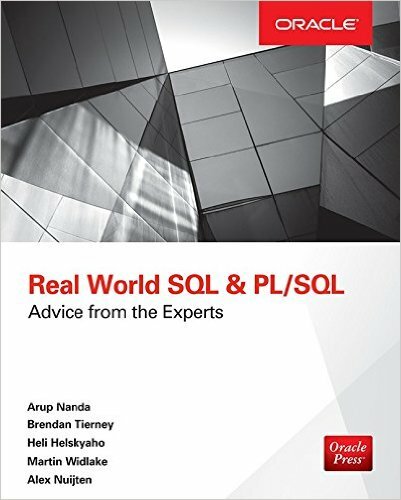 The first one is what is produced in an R session and the section is what is produced by SQL query and the embedded R execution in Oracle. As you can see the second image (produced using the embedded R execution) gives a very square image. The reason for this is that Oracle R Enterprise (ORE) creates the graphic image in PNG format. The default setting from this is 480 x 480. You will find this information when you go digging in the R documentation and not in the Oracle documentation. So, how can I get my ORE produced graphic to appear like what is produced in R? What you need to do is to change the height and width of the PNG image produced by ORE. You can do this by passing parameters in the SQL statement used to call the user defined R function, that in turn produces the ggplot2 image. In my previous post, I gave the SQL statement to call and produce the graphic (shown above). One of the parameters to the rqTableEval function was set to null. This was because we didn't have any parameters to pass, apart from the data set. We can replace this null with any parameters we want to pass to the user defined R function (demo_ggpplot). To pass the parameters we need to define them using a SELECT statement. When you view the graphic in SQL Developer, you will get something that looks a bit more like what you would expect or want to see. 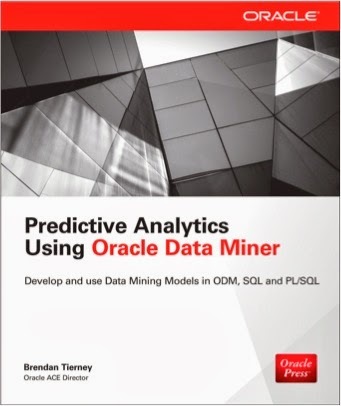 This is the second blog post of a series on using Oracle Text, Oracle R Enterprise and Oracle Data Mining. Check out the first blog post of the series, as the data used in this blog post was extracted, processed and stored in a databases table. In this blog post I will show you how you use Oracle R Enterprise and the embedded R execution features of ORE to use the text from the webpages and to create a word cloud. This is a useful tool to be able to see visually what words can stand out most on your webpage and if the correct message is being put across to your customers. Prerequisites: You will need to load the following R packages into your R environment 'tm', 'word cloud' 'SnowballC'. These are required to process the following R code segments. Select data from table and prepare: We need to select the data from the table in our schema and to merge it into one variable. Create function to perform Text Mining: In my previous blog post on creating a word cloud I gave the R code. In order to allow for this R code to be run on the database server (using the embedded R execution of ORE) we need to package this text mining R code up into a ORE user defined R script. This is stored in the database. Before we can run this user define R script, we need to ensure that we have the 'tm', 'SnowballC' and 'wordcloud' R packages installed on the Oracle Database server. On the Oracle Database server you need to rune ORE.
Run the function on the DB Server: You are now ready to run the function. In an earlier step we had gathered the data. Now we can pass this data to the in-database R script. The ore.doEval function is a general purpose ORE function. In this case we pass it two parameters. The first parameter is the neame of the user defined R script stored in the database, and the second parameter is the data. The function returns and ORE object that contains the word cloud graphic. Display the results: You can very easily display the results. This gives us the following graphic. In my next blog post, of this series, I will show you how you can use the function created above and some other bits and pieces, using some other features of ORE and also in SQL. 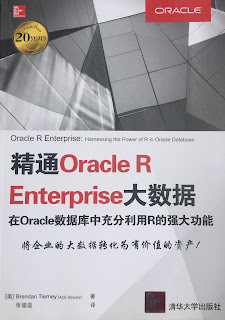 A project that I've been working on for a while now involves the use of Oracle Text, Oracle R Enterprise and Oracle Data Mining. Oracle Text comes with your Oracle Database licence. Oracle R Enterprise and Oracle Data Mining are part of the Oracle Advanced Analytics (extra cost) option. What I will be doing over the course of 4 or maybe 5 blog posts is how these products can work together to help you gain a grater insight into your data, and part of your data being large text items like free format text, documents (in various forms e.g. html, xml, pdf, ms word), etc. Unfortunately I cannot show you examples from the actual project I've been working on (and still am, from time to time). But what I can do is to show you how products and components can work together. In this blog post I will just do some data setup. As with all project scenarios there can be many ways of performing the same tasks. Some might be better than others. But what I will be showing you is for demonstration purposes. The scenario: The scenario for this blog post is that I want to extract text from some webpages and store them in a table in my schema. I then want to use Oracle Text to search the text from these webpages. Schema setup: We need to create a table that will store the text from the webpages. We also want to create an Oracle Text index so that this text is searchable. In the table we have a number of descriptive attributes and then a club for storing the website text. We will only be storing the website text and not the html document (More on that later). In order to make the website text searchable in the DOC_TEXT attribute we need to create an Oracle Text index of type CONTEXT. There are a few challenges with using this type of index. For example when you insert a new record or update the DOC_TEXT attribute, the new values/text will not be reflected instantly, just like we are use to with traditional indexes. Instead you have to decide when you want to index to be updated. For example, if you would like the index to be updated after each commit then you can create the index using the following. Depending on the number of documents you have being committed to the DB, this might not be for you. You need to find the balance. Alternatively you could schedule the index to be updated by passing an interval to the 'sync' in the above command. Alternatively you might want to use DBMS_JOB to schedule the update. To manually sync (or via DBMS_JOB) the index, assuming we used the first 'create index' statement, we would need to run the following. This function just adds the new documents to the index. This can, over time, lead to some fragmentation of the index, and will require it to the re-organised on a semi-regular basis. Perhaps you can schedule this to happen every night, or once a week, or whatever makes sense to you. We now have the text extracted and cleaned up. Create a data frame to contain all our data: Now that we have the text extracted, we can prepare the other data items we need to insert the data into our table ('my_documents'). The first stept is to construct a data frame to contain all the data. Insert the data into our database table: With the data in our data fram (my_docs) we can now use this data to insert into our database table. There are a number of ways of doing this in R. What I'm going to show you here is how to do it using Oracle R Enterprise (ORE). The thing with ORE is that there is no explicit functionality for inserting and updating records in a database table. What you need to do is to construct, in my case, the insert statement and then use ore.exec to execute this statement in the database. insert_stmt <- "BEGIN insert_tab_document ('"
You can now view the inserted webpage text using R or using SQL. In my next blog post in this series, I will look at how you can use the ORE embedded features to read and process this data. I've recently come across the 'googleVis' R package. This allows you to create a variety of different (typical and standard) charts in R but with the look and feel of the charts we can get from a number of different Google sites. I won't bore you with some examples in the post but I'll point you to a good tutorial on the various charts. Here is the link to the mini-tutorial. Before you can use the package you will need to install it. The simplest way is to run the following in your R session. Depending on your version of R you may need to upgrade. Here is a selection of some of the charts you can create, and there are many, many more. Some of you might be familiar with the presenting that Hans Rosling gives. Some of the same technology is behind these bubble charts from Google, as they bought the software years ago. Hans typically uses a data set that consists of GDP, Population and Life Expectancy for countries around the World. You too can use this same data set and is available from rdatamarket. The following R codes will extract this data set to you local R session and you can then use it as input to the various charts in the googleVis functions. Here is an example of the bubble chart using this data set. There are a few restrictions with using this package. All the results will be displayed in a web browser, so you need to make sure that this is possible. Some of the charts are require flash. Again you need to make sure you are the latest version and/or you many have restrictions in your workplace on using it. The exact list of data sets available will depend on the version of R that you are using. To get the list of available data sets in R you can run the following. This command will list all the data sets that you can reference and start using immediately. I'm currently running the latest version of Oracle R Distribution version 3.2. See the listing at the end of this blog post for the available data sets. 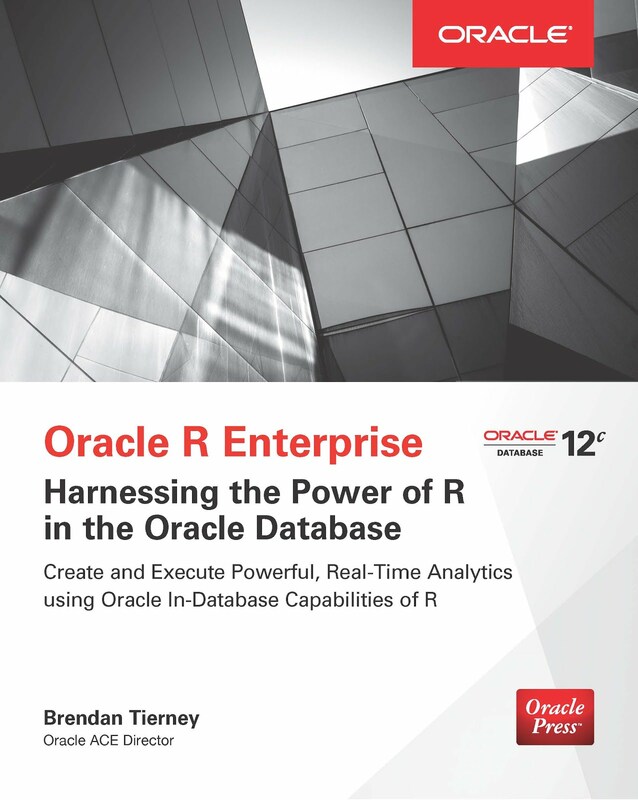 But are these data sets available to you if you are using Oracle R Enterprise (ORE)? The answer is Yes of course they are. But are these accessible on the Oracle Database server? Yes they are, as you have R installed there and you can use ORE to access and use the data sets. But how? how can I list what is on the Oracle Database server using R? Simple use the following ORE code to run an embedded R execution function using the ORE R API. What? What does that mean? Using the R on your client machine, you can use ORE to send some R code to the Oracle Database server. The R code will be run on the Oracle Database server and the results will be returned to the client. The results contain the results from the server. Try the following code. # Now send this function to the DB server and run it there. Yes it is. You have shown us how to do this in R using the ORE package. But what if I'm a SQL developer. Can I do this in SQL? Yes you can. Connect you your schema using SQL Developer/SQL*Plus/SQLcl or whatever tool you will be using to run SQL. Then run the following SQL. This SQL code will return the results in XML format. You can parse this to extract and display the results and when you do you will get something like the following listing, which is exactly the same that is produced when you run the R code that I gave above. So what this means is that evening if you have an empty schema with no data in it, and as long as you have the privileges to run embedded R execution, you actually have access to all these different data sets. You can use these to try our R using the ORE SQL APIs too. sunspot.month           Monthly Sunspot Data, from 1749 to "Present"
The following is the second set of demo code from my video on using R in the Oracle Database. Check out the video before using the following code. The blog post for the video will be updated to contain links to all blog posts that have the various demo code. The following code gives a very quick demonstration of using the RORACLE R package to access the data in your Oracle schema. ROracle has a number of advantages over using RJDBC and most of the advantages are about the performance improvements. Typically when using ROracle you will see a many fold improvement with selecting data and moving it to your R client, processing data in the database and also writing data back to the Oracle Database. In some tests you can see a 7 times improvement in performance over RJDBC. Now that is a big difference. But the problem with ROracle is that it is only available on certain platforms/OS. For example it is not officially available for the Mac. But if you google this issue carefully you will find unofficial ways over coming this problem. 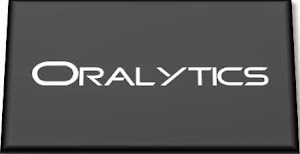 ROracle is dependent on Oracle Client. So you will need to have Oracle Client installed on you machine and have it available on the search path. When you have Oracle Client installed and the ROracle R package installed you are ready to start using it. So here is the demo code from the video. In a previous blog post I posted a video on using R with the Oracle Database and using Oracle R Enterprise. This is a part 1 extension of that blog post that gives the first set of demo code. This first set of demonstration code is for using RJDBC to connect to the Oracle Database. Using RJDBC relies on using the JDBC jar file for Oracle. It is easily found in various installations of Oracle products and will be called something like ojdbc.jar. I like to take a copy of this file and place it in the root/home directory. > # Query on the Oracle instance name. Make sure to check out the other demonstration scripts that are shown in the video. The Oracle Santa had a busy time just before Christmas with the release of several new version of products. One of these was Oracle R Enterprise version 1.5. Oracle R Enterprise (1.5) is part of the Oracle Advanced Analytics option for the enterprise edition of the Oracle Database. New Random Forest specific for ORE.
New ORE Data Store functions and privileges. Partitioning on multiple columns for ore.groupApply. Now performs parallel in-database execution for functions prcomp and svd. BLOB and CLOB data types are now supported in some of the ORE functions. Check out the ORE 1.5 Release Notes for more details on the new features. ORE 1.5 is only certified (for now) on R 3.2.x in both the open source version and the Oracle R Distribution version 3.2. Check out the ORE 1.5 Documentation. You can download ORE 1.5 Server side and Client side software here.